Hans was born in Calcutta, India, on November 2nd 1876, the eldest of four children of a German-born merchant, Johan Sparenborg, who would go on to become a naturalised British citizen in 1906, and his wife, Annie. By the time he was ten, the family home was in South London and he started at the College in the spring of 1887. 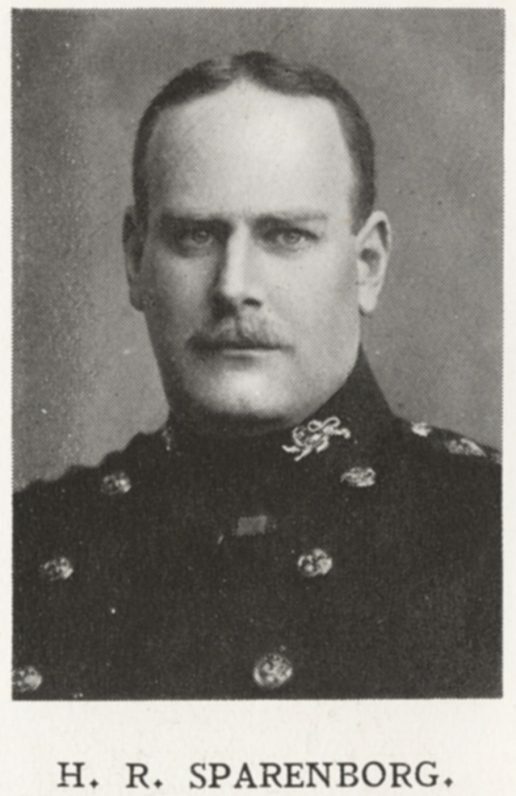 He went on to have a long and distinguished Dulwich career, spending seven years at the College, and in his last two played as a three-quarter for the 1st XV. After leaving in the summer of 1894 he went up to Gonville & Caius College, Cambridge, from which he did not graduate, although he did sit the special examination in Modern Languages in 1897. Following his time at Cambridge Hans spent some time working with his father before, in 1900, joining the Army; on the recommendation of his Cambridge Vice-Chancellor he was straight away given a commission in the Royal Lancaster Regiment. At the beginning of 1902 he was promoted to Lieutenant, and that May was sent to what is now Northern Nigeria where he was to spend the next two years as a part of the West African Frontier Force. In 1910 he was promoted to Captain and, the following year, made adjutant of the 4th (Territorial) Battalion of his regiment. 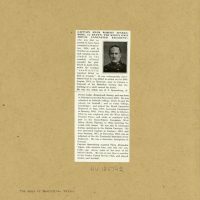 When war broke out in August 1914 Hans was transferred to the 1st Battalion and subsequently was part of the first British Expeditionary Force sent to the continent. 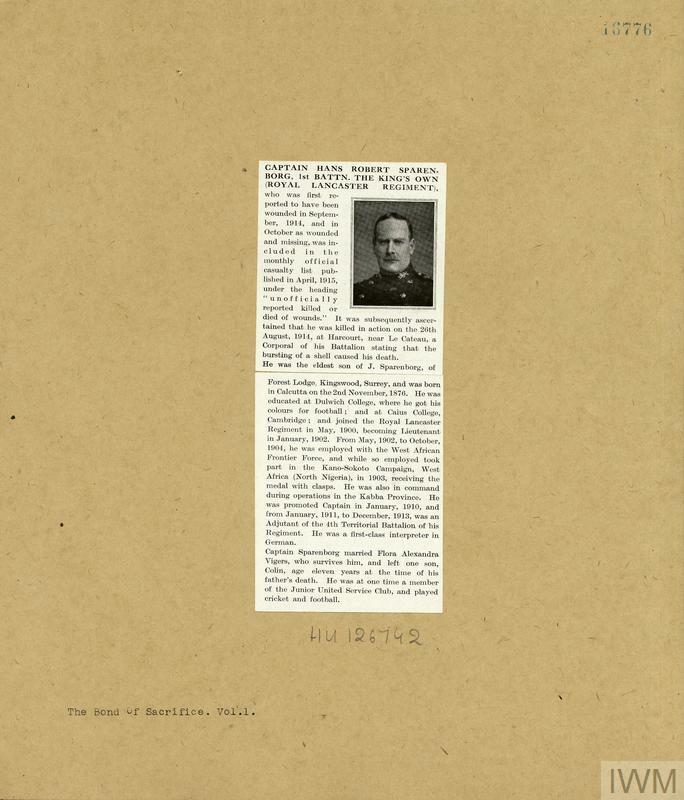 Having served through the retreat from Mons he was killed by machine gun fire near Le Cateau on August 26th, meaning that he is believed to be, alongside Captain Henry Shott, one of the first two OAs to die in military service during the war. He was for some months listed as missing and only confirmed to have died in April the following year. He was survived by his widow, Flora, and their son, Colin.